While jewels abound in the colors orange and black, there are few that incorporate both colors in such stunning style as the following pieces. 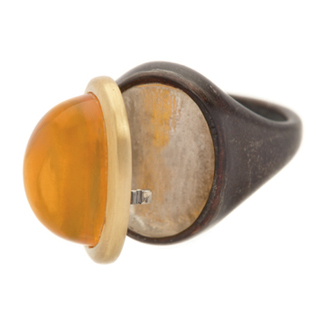 By using oxidation techniques to blacken metals, jewelry designers are creating gorgeous contrasts with warmer-hued gems like fire opals, orange sapphires, and citrines. And these color combinations aren’t necessarily for Halloween, but they do evoke fallen leaves, pumpkin spice, and the splendor of autumn. 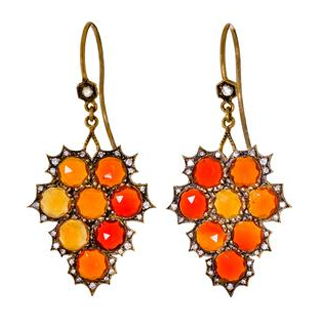 Cathy Waterman’s rose-cut fire opal and diamond earrings positively glow with warmth. 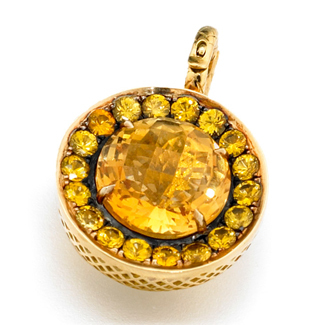 And Turkish-Armenian designer Sevan Bicakci delivers orange and yellow sapphires in a working padlock in oxidized silver and 24k gold. 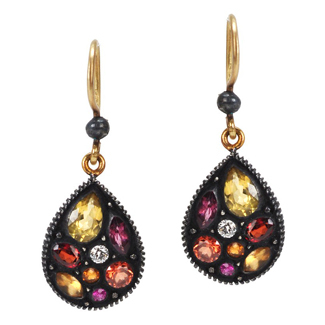 Alex Sepkus works his signature style in 18k gold with a fiery tourmaline. And Wendy Brandes’ “Edburga Poison Ring” actually opens and closes to hold secrets (or poison!) 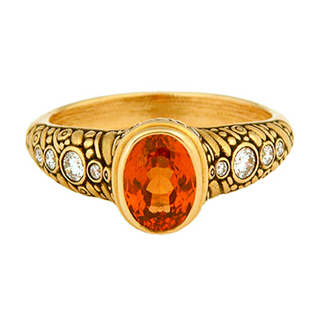 under a fire opal set in 18k yellow gold. Yossi Harari’s earrings combine orange and pink sapphires in a special 24k gold and sterling-silver alloy developed by the designer. And Ray Griffiths’ detailed crownwork rests just underneath a citrine surrounded by yellow sapphires with blackened-silver details. 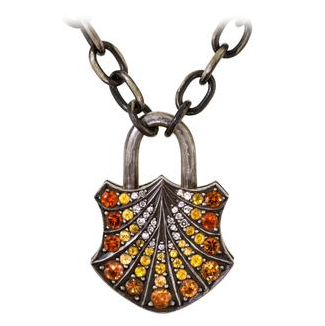 Enjoy these jewels in orange and black for Halloween and Fall 2013.